Waiting for the Olympic Torch. I’ve spent a fun hour destroying a bunch of old hard drives that I’ve had hanging around for a few years. While you can get software that wipes disks by repeatedly writing rubbish to it (called disk-shredders), I prefer a hardware solution when throwing away old PC’s. A good old fashioned power drill through the casing and platters is going to do the business. Of course, it may invalidate your warranty! Why go to such extremes? When you dispose of a PC you never really know where it’s going to end up. It could just go into a landfill, but is more likely to go through some kind of recycling, and there are documented cases of hard disks ending up in the hands of people who try and recover data from them for nefarious purposes. Often such data can aid identity theft, fraud, or open up passwords – how many people store passwords unencrypted in a file on their PC? 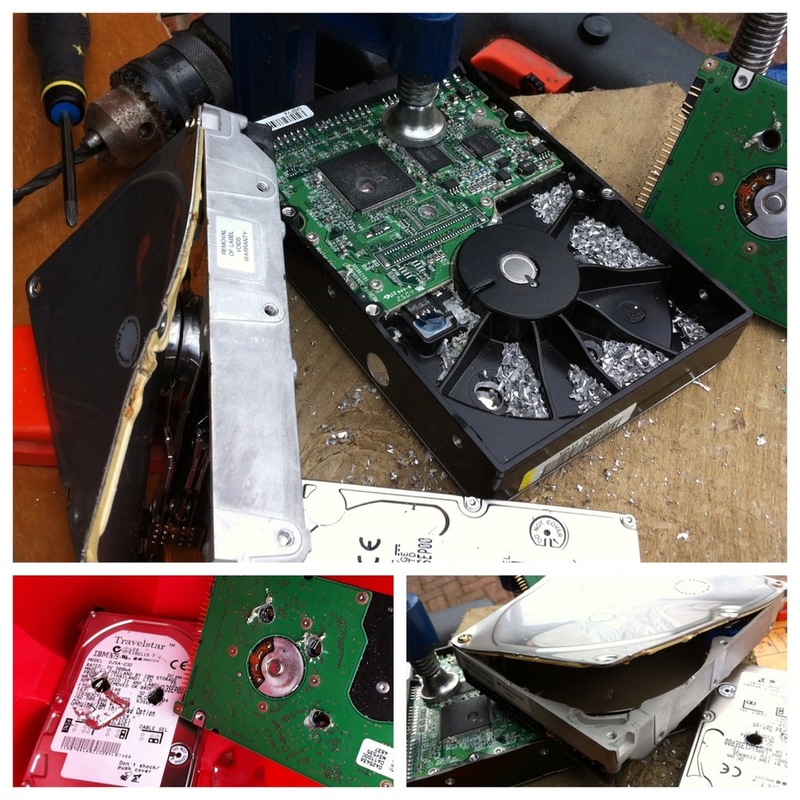 So better safe than sorry – take a drill or hammer to your disks before taking them to the tip.